If selling doesn’t come naturally, then traditional sales training won’t help – instead a different mindset and approach is needed. I recently advised a newly acquired innovation consultancy on building a combined post-M&A growth model. One challenge was that their consultants suddenly felt the pressure of increased targets. One in particular had an added discomfort around sales. In his day job, he was a highly skilled innovation practitioner; knowledgeable, enthusiastic and a great listener. But whenever he was networking or talking to his clients about the next project, despite his expertise coming across brilliantly, he still felt awkward when it was time to ‘close’ the conversation. This sense of selling feeling unnatural is really common – particularly when you have hybrid sellers and doers, like consultants or an account manager who also runs new-business. So how should leaders address this unease around selling? Clearly sales doesn’t succeed or fail in isolation. But assuming your proposition is saleable and your marketing gets you in front of the right clients, then helping non-natural salespeople improve is essential. Your reflex response might be to invest in sales training. 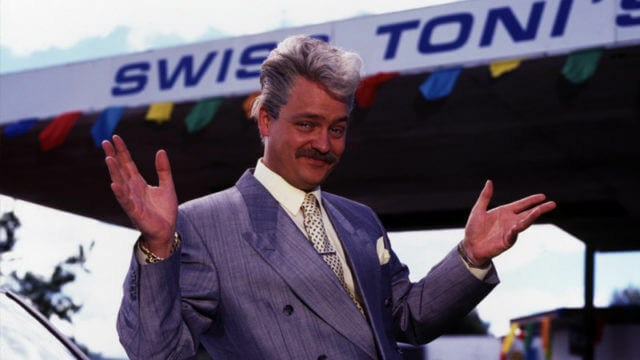 But take care here, because crowbarring in pushy traditional tactics will just exacerbate the problem – not least by adding to a grubby ‘used car salesman’ feeling. A better approach is to adopt a sales framework that applies what your experts know, instead of highlighting what they don’t. But before you get to that, you should address where this unease comes from. Many people see sales in terms of persuasion. This is a big mistake – especially as clients have changed how they buy. Now more than ever, selling is about fit. If you meaningfully connect your specific offer with the client’s problem, then the rest of the sale is admin. Author and sales trainer Blair Enns has a great take on this. If you accept that selling a solution to any problem is about helping the client reach their desired future, then sales is really just change management. With that perspective, it’s much easier to see ’selling’ as a diagnostic – can you define the client’s future state and, hand on heart, are you the right people to help them get there? If that’s a yes and another yes, then you’re not really in the persuasion game any more. Reframing sales as change management – an act of assistance – is a fundamental shift. It builds ‘selling’ around practitioner expertise, not jazz-hands, false promises and hard sell. And for non-natural salespeople – whether it’s your day job or not – that change is transformational. Just as beliefs and habits go hand-in-hand, approaching sales as change management requires a different method – one that replaces schtick with knowledge, jargon with simplicity and passivity with the freedom to challenge. The following three steps summarise an expertise-driven sales framework. If you’re in the right rooms, then clients should say ‘we need your help’, not ‘what do you do?’. That’s a totally different meeting, so you must live up to that billing. Focus on future value – to manage the client’s desired change, you need to know how they define it, where they’re starting from and what stands in their way. Once your expertise is seen as essential, step two leverages your scarcity to establish the terms of engagement that you’re prepared to work to. Respect – ensure you meet the decision makers, don’t just ask their names. A central feature of this framework is that you get to decide how and when you offer your solution. It happens when you’re ready, in a format of your choosing. Face-to-face – unless you’re able to close the sale with the crucial person present, you have every right to pull out. Needless to say, this is a simplification. Firstly the framework should be tailored to reflect and substantiate your audience and proposition – for example, in the questions you ask, responses to prepare for and tools to use. But none of this is hard to pick up. Also, although these three steps can happen across more or fewer than three conversations, it’s the sequence that’s important. Each step enables the next and the order gives you a reliable, client-centric measure of where you are in the sale. If you’re still wedded to the traditional brief-and-pitch beauty parade, all this probably sounds like pie-in-the-sky. But that’s fine – it’s not for everyone. Firstly, you’ll need complete conviction that your proposition will appeal more strongly to fewer clients. It’s the opposite of sales being a numbers game. You also need to be comfortable walking away – and not just when a brief arrives or when the budget’s too low. This is about giving clients on ongoing sense of jeopardy and being willing to stand your ground – at all times. Most importantly, you need to live and breathe the scarcity that your proposition promises. Alongside sales, everything from strategy and marketing, to people, process and pricing should be tailored to substantiate your claim of expertise. That means rejecting the commoditised behaviours that implicitly reveal your lack of conviction. If you can tick these boxes, then you can dramatically improve how you sell. Baked into a strong proposition, this framework makes selling an empowering use of what you know, rather than a painful reminder of what you don’t. It’s empowering not just because it applies your expertise, but because it stops you rushing to the end before the client is ready to join you. And it saves you the soul-crushing frustration of sending endless ‘any news on our proposal?’ emails. By having a sustained impact on the client’s buying process – and qualifying out if that stops – you’ll not only kiss fewer frogs and shorten your sales cycle, but your conversion will dramatically improve. You’ll also establish a leadership position that extends beyond new-business; teeing-up more productive and profitable client relationships. In a nutshell, this framework helps put you in control of growth. And finally, as you increasingly leverage your expertise, this is the perfect platform to demonstrate one of the most underused proof points of value – your pricing.